Beth! 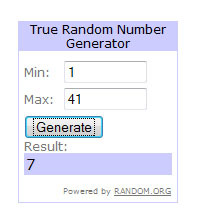 You've won the Witch Owl Giveaway. I'll send you an email in a bit to get your mailing.address. Congrats to Beth! She is one lucky duck. :) Happy weekend - xo! Squeeee!!!! Super, super excited! Thank you! Ya, congrats you lucky girl!